Beautiful contrast between the two primary colours !! The bee is a fine bonus !! Super detail and love the bee. 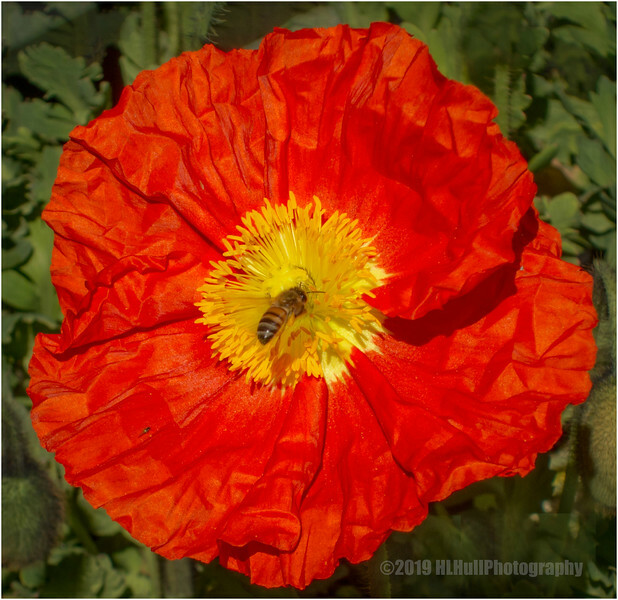 Super capture of the bee on the poppy! I often take pics in Home Depot's garden section...unfortunately, for me, they don't have any plants in there, as yet.